Cinematography by Justin Stuboy and Leeroy Sr. (bridge construction scenes only). Production companies: Wilkins Peak Studios, MAU Entertainment. Released Summer 2003 and again in the Spring of 2006 (DVD). 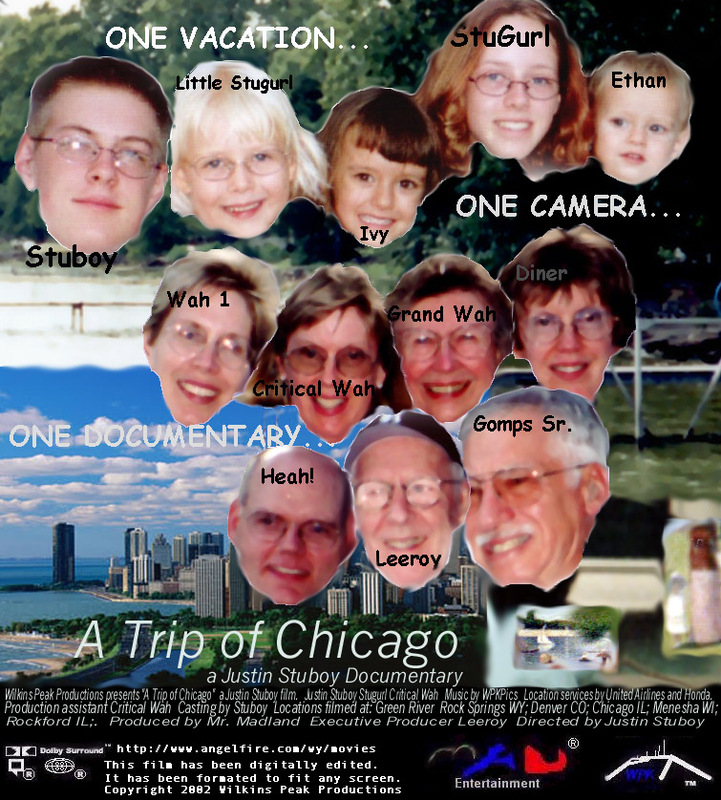 -Filmed in early August of 2002 over a weeks time in various places throughout the Midwest. -Two versions of this film were released, a shorter version which was the standard for about a year, and a Special Limited Edition which contains a few extended scenes and narration at a key point. The SL edition also contains music fixes. -Catherine O'Hara appears in the film as an accident. She was walking through the train station during filming and bumped into Justin. This is a well documented happening. She briefly appears in the film. This also is the only documented case of a Hollywood celebrity appearing in a Ubstudios film. -Other- A few credits were misplaced in the beginning of the film, resulting in words being cut off. -Audio problem- This is in relation to the first edition of the film, during the beginning credits, the audio was panned down unexpectedly. It was fixed for the SL edition. -factual error- O'Hare Airport is incorrectly spelled as Ohaire. This mistake remains on the DVD. -Audio problem- During the first bridge construction scenes, Justin can be heard giving cues to the camera operator (Leeroy Sr.). This was fixed on the SL edition. -tape error- This refers to all versions of the film. In the scene where Leeroy Sr. is watching TV, a tape glitch can easily be seen. This was unpreventable, but is still a mistake. Days of Our Lives 1965 (TV) Battle of the Ball scenes were based loosely off of this series and other soap operas.